Even though it continues to be around 80F for a high, the mornings have gotten very cool and the house stays chilly throughout the day. I feel like it is okay to turn the oven on again! Monday is a comfort food, grounding day. Classic chicken dinner is definitely my go-to. John sous vides chicken breasts. I roast a butternut squash and quick-cook some asparagus. (Asparagus is on sale this week. It must be spring in South America!) A lot of times when planning this dinner I think, Boring! But then when I eat it I think, Ahh! 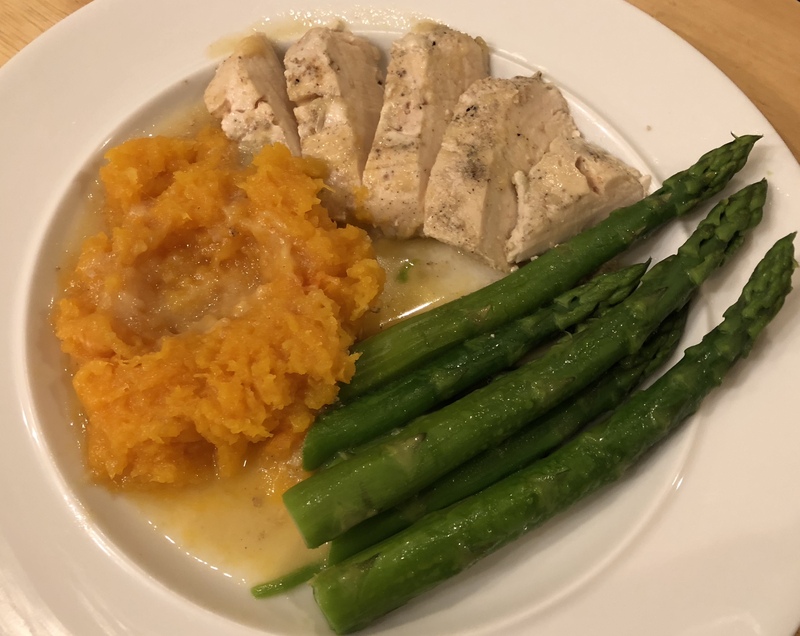 This entry was posted in American, Easy, Poultry, sous vide, Vegetables and tagged asparagus, butternut squash, chicken, chicken breast, sous vide, Vegetables. Bookmark the permalink.